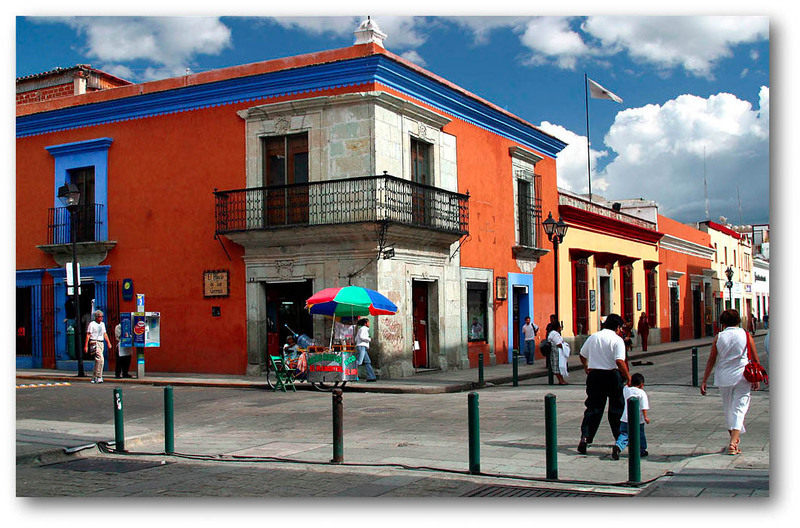 Over the past ten years I have visited Oaxaca de Juárez, Mexico about forty times. During that period, I visited the city at least three times per year, and some years more. Understandably, my impressions of the city and the state of Oaxaca have evolved over the years. When I first arrived in Oaxaca, I delighted in the Spanish colonial architecture, the cobblestone streets, the city square, the open-air restaurants, the cuisine, the folk festivals, and the polite, yet cheerful, culture of the local population. Walking the streets of the historic district I discovered the museums, the art galleries, and historic churches. And of course there were the archaeological sites of Monte Alban, Mitla, Yagul, and Lambityeco that stand today as silent, yet remarkable, tributes to the genius of early meso-American architects, engineers, mathematicians, and astronomers. I tried in those early visits to ignore the obvious extremes of wealth and poverty that existed along side each other, such as Lincoln Navigators and BMW’s passing children begging in the street, or grandmothers walking the streets selling trinkets made in China to tourists drinking lattes. Nowadays when I visit Oaxaca, I go to see friends. I barely notice the Spanish colonial architecture anymore. 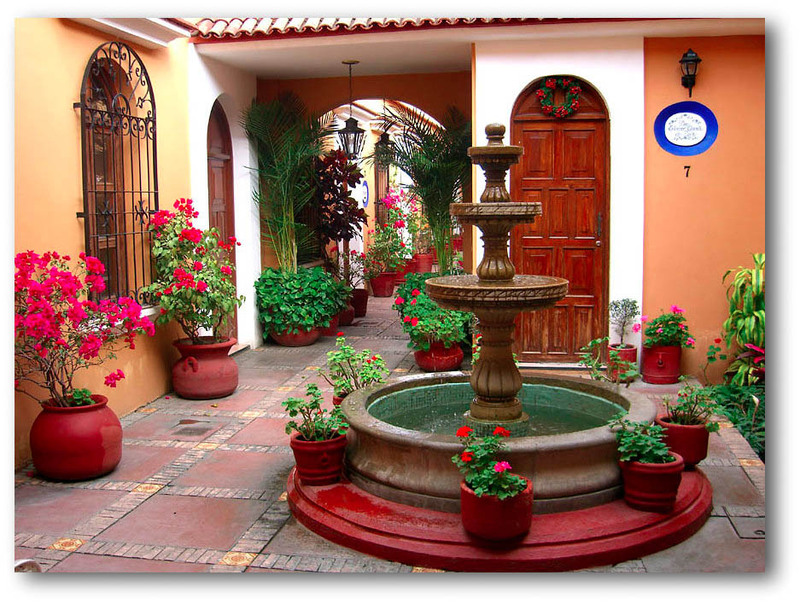 And while I still find attractive the brightly colored houses, the bougainvillea, the Flamboyan, and the Copa de Oro, they no longer demand my attention the way they once did. I no longer visit the archaeological sites. The superficiality of the tourist mentality has worn off. Instead, I go for the subtle, but distinct, changes in the social environment. I now have a deeper appreciation of indigenous culture than before, of the sense of community it engenders, and its radical incommensurabilty with western-style market economies. I now have a better understanding of the sense of identity provided by Oaxacan culture. People from Oaxaca know who they are in ways the people from Janesville, Wisconsin will never know. Caught at the interface of western modernity and traditional culture, their daily life bears reminders of their origins such as the diversity of indigenous languages, the cuisine, and constant religious festivals. Likewise, I am aware of the enormous social and political problems whose solutions appear intractable . Among these are the poverty, the poor educational system for most citizens of the state of Oaxaca and of the teachers who seem to spend as much time in political protest as in the classrooms. I am aware of schools that have no books in their libraries. And although Mexican law requires at least nine years of education for every child, at least fifty percent of Oaxacans are illiterate and up to twenty percent do not speak Spanish. Due to a lack of seats and resources, the state university, which has some 30,000 students, is forced to reject over sixty percent of its applicants. The local press constantly documents the corrupt practice of selling seats to under-qualified students. University administrators reject these charges, but there is too much smoke here for there not to be a fire. To make matters worse, university faculty are poorly paid. Political corruption is wide-spread at relatively low levels of bureaucratic administration. Political appointments reach fairly deep into bureaucracy. This practice engenders incompetence in the direction of many departments, leaving lower level bureaucrats to carry on the best they can. On the positive side, Oaxaca has been spared the drug related violence that has plagued much of Mexico. Outside of Mexico City, it is the cultural capital of Mexico . Its restaurants, its cultural attractions, and its hospitality are world class. Despite a general cynicism about their government and its ability to solve, rather than create, problems, I find that most Oaxacans are cautiously optimistic about the future. ← What if Facebook Were Our Only Source of News?